Today, Bridlington Harbour is a Trust Port and has a very long and most interesting history. Records date back to the twelfth century but there was probably some form of harbour or haven here much earlier than this. Over the years all sorts of goods have passed over its quays. Vessels belonging to the monks of Bridlington Priory exported the wool they produced to the Low Countries, whilst around the time of the English Civil War Queen Henrietta Maria, wife of King Charles I, landed here with soldiers, armaments and ammunition for the Royalist cause. The present piers were built in the first half of the nineteenth century but since then many changes have taken place to both the harbour estate and the types of vessels using the harbour. The fishing industry also expanded after the coming of the railways and fishing with cobles and yawls using long lines with baited hooks continued right down until the 1960s but by then had also been joined by motorised keel boats. The local fleet gradually turned over to trawling which proved very lucrative until stocks declined towards the end of the twentieth century. 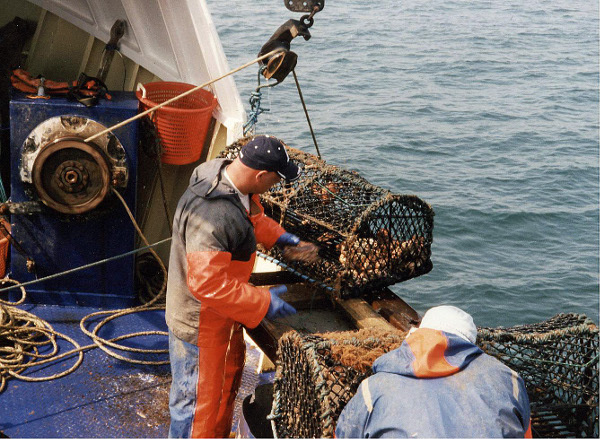 The fishermen subsequently altered their vessels so they could focus on the capture of crabs and lobsters and this has proved both a profitable and sustainable activity. The landing companies have built large tanks on the fish quay to keep lobsters and crabs in good condition. From 1929 air-sea rescue boats operated from the harbour and the Air Ministry built a large shed, slipway, offices and workshops. This became known as the Marine Craft Unit and was eventually closed down in 1980. During the 1930s Aircraftman Shaw, better known as T.E. Lawrence (Lawrence of Arabia) served here for a short period. 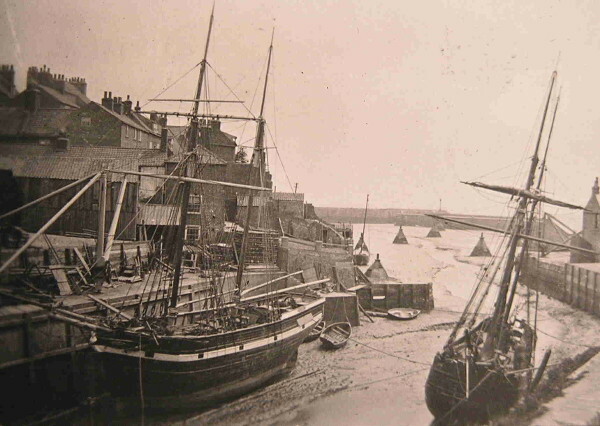 A number of motor fishing vessels were constructed on Gummers Wharf at the west end of the harbour as well as on the site of the blitzed Britannia Hotel. The area known as Clough Hole was in-filled in 1997/8, enabling a vessel storage and maintenance facility to be constructed. This has proved a boon for local fishermen as their vessels no longer have to be steamed to Grimsby for many repairs and the facility now provides employment for marine engineers, boat builders and electricians.